New York City get ready. Just Jess and the WineChannelTV team are heading to the big apple from Feb 2-6th. 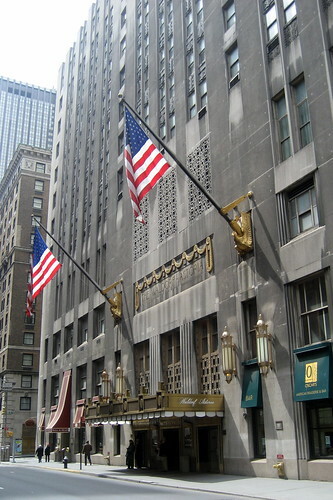 WCTV will be at the Waldorf-Astoria for the VINO2010 Italian Wine Week Convention. This happens to be the largest Italian wine event in the US. At VINO2010, Wine Channel TV will also be attending the Meet & Greet -VINO2010 DIRECT program. Here a huge selection of wines from over 100 different producers will be available for the FIRST time in the US! WCTV will be there every step of the way giving you a backstage pass, doing live video streams, and maybe getting a glass or two :-)! Can’t wait to see the videos you make!